From Google Glass to Misfit Shine, wearables refer to any hardware that can be worn around, hardware with which we interact in ways beyond the traditional keyboard and mouse/touchpad. Wearables are our daily companions, collecting information about our bodies and environments, adapting their behavior to our movements. Most of them sync via Bluetooth (or BLE) to our mobile phones. A related but different category of devices under the larger umbrella of the Internet of Things are so-called “there-ables” (a nice term used by Naveen Salvadurai). But the reality is that wearables are still in their infancy. The term still means little to people in non-tech industries. I started writing software in 1997 when my parents bought Sony’s PlayStation developer kit for my 12th birthday, the so-called Net Yaroze. Everything was written in the C programming back then. There was no Stackoverflow and no Googling around for sample code. When I couldn’t figure something out, I had to flip through a stack of reference manuals that shipped with the device until I eventually figured things out. Nowadays languages like Python and Ruby are all the rage. I give credit to the open source community to the modularity of these languages, allowing people to write and contribute to libraries and frameworks that make writing software far easier than it was in the days of C. Developers can now focus on building things and rapidly prototyping rather than figuring out how to accomplish relatively low-level tasks like rendering graphics. A similar phenomenon is emerging in the hardware world. The open source hardware community is vibrantly blossoming. Hardware hackers are sharing schematics of their creations online, and tools like Arduino, Raspberry Pi, and BeagleBone are helping engineers and non-engineers alike prototype their ideas and build devices that are turning the “Internet of Things” from a buzzword into a reality. Even Google announced a new modular phone, challenging consumers to rethink the lay “blackbox” view of hardware. Hardware prototyping has become remarkably analogous to software development, thanks to the rise of open source hardware communities and modular prototyping platforms. This is a tremendous driving force behind the explosion of wearables. You need a team of skilled electrical, industrial, and software engineers, a good amount of capital, and a factory to manufacture a new line of activity trackers. But even the most popular wearable devices nowadays are increasingly being born as Kickstarter-funded prototypes on breadboards. The big challenge isn’t conceiving or manufacturing these wearables; the big challenge is identifying a compelling use case, and a hungry market. One group working heroically to make hardware accessible to all is iRoboticist. I spent the past weekend in an awesome 2-day workshop run by Saurabh Palan and his team expanding my knowledge about wearable hardware and getting inspired by smart, passionate hardware hackers from all walks of life. In a few hours, I built a smartwatch prototype that can display the wearer’s heart rate, temperature, and distance walked via a 3-axis accelerometer. Oh, and it also tells time. The greatest act of rebellion is propagating knowledge. For the sake of knowledge. Wearables are cool, but as iRoboticist founder Saurabh Palan points out, the greatest hardware of all is the human body, which continues to inspire engineers on a daily basis. No robot is as agile as a human. No app can recognize voices or images like the human mind. I’ve yet to see a robot that can repair itself when damaged. I’ve come to believe that designers have the most important role in product development. My experience of co-founding PulseBeat and going through the Blueprint Health incubator have convinced me of this beyond a doubt. By designer, I mean someone who works to understand users and systematically studies how they interact with hardware and software. Someone who engineers not just graphical interface or the physical form of a device, but also its functionality. I hope that someday the position of a hospital’s Chief Informatics Officer won’t be filled by (semi-)retired physicians climbing the organizational ladder, but by true designers passionate about the interaction between patients, physicians, nurses, software, and hardware. I’ll wrap up this post with a final thought on the most important of questions in tech entrepreneurship, the so-what question. From venture capitalists to physicians to journalists, people frequently ask me what I think about wearable technology and where it’s going. Technology is like the restless child running laps around our wizened, slow-moving society of bureaucrats and reactionary institutions. The majority of new technologies, regardless of how much Silicon Valley hypes them and infuses them with venture funds, never find a place in the real world. They either fizzle out or become sustenance for bigger fish. But that doesn’t matter — it’s part of the process of innovation. That’s why I chose tech over academia. Throw a lot of spaghetti against the wall until a strand sticks. Building software and hardware is my passion. The Valley is filled with very talented engineers and hackers. It’s burgeoning with bullish investors eager to invest in new ideas and wide-eyed founders. But the most valuable thing I learned from my time at Blueprint Health was the fact that the biggest challenge any startup faces is not an engineering or funding question; it’s the so-what question. We’ll eventually have miniature, implantable, and edible hardware with dozens of sensors onboard. But collecting data is not enough. Even doing analytics on these data is not enough. There’s a huge mismatch between sensors and actuators in health tech. It’s not enough to know that a patient’s health has changed for the worst. The trillion dollar question is, what will your app or hardware do to turn a patient’s health around, whether it’s delivering healthcare workers (what my startup does), delivering therapeutics, or changing people’s behavior. 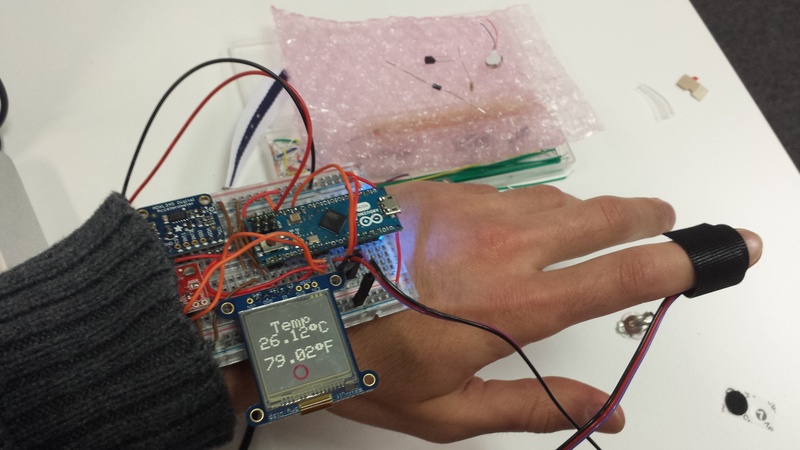 So you built a cool app or a beautiful new wearable device. But what problem is it solving? Whose pain is it alleviating? To paraphrase Sam Altman, are you selling a painkiller or a vitamin? We need to get patients, engineers, and healthcare professionals to sit down at the same table more often. The process of product development is radically different in health tech than in other industries. I think the reason so few people have really figured out health tech lies in the fact that it’s hard to get these 3 parties, who have disparate pain points, to participate equally in the development of consumer health apps and wearables. I’m working hard to change this.